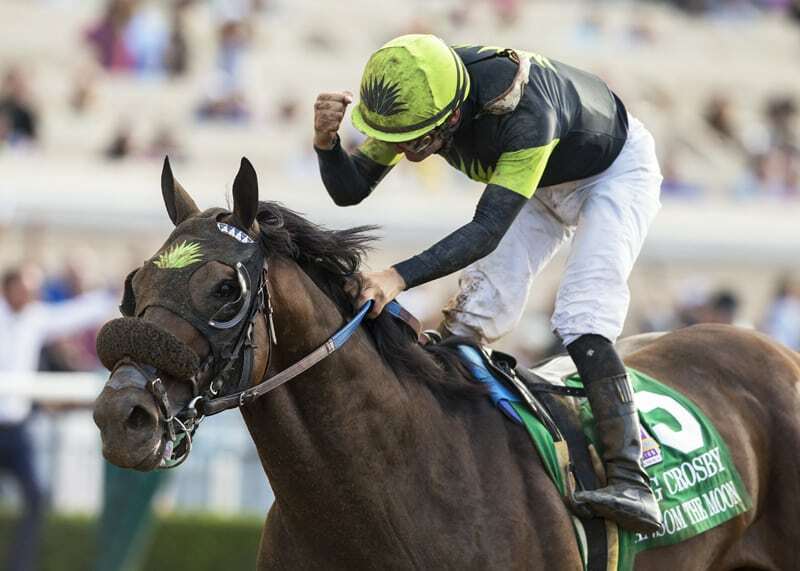 DEL MAR, CA – For the second straight year, jockey Flavien Prat guided Agave Racing Stable and Jeff Wilke’s Ransom the Moon to glory in Saturday’s Grade 1, $300,000 Bing Crosby Stakes at Del Mar. 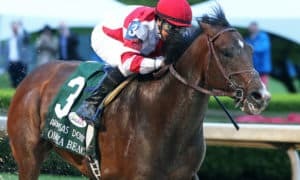 The Bing Crosby is a Breeders’ Cup “Win and You’re In” event, with Ransom the Moon receiving an automatic berth in the TwinSpires Sprint at Churchill Downs on Saturday, November 3. 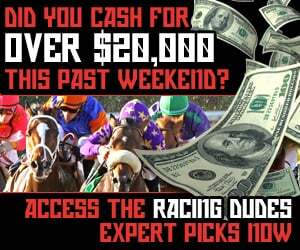 Breaking cleanly from post 5 at 9-2 odds, Ransom the Moon saved ground near the rear while St. Joe Bay and American Pastime dueled up front through opening splits of :21.93 and :44.78. Tipping out midway through the far turn while beginning to pick off slower foes, Prat continued guiding Ransom the Moon to the outside and straightened for home while positioned in the 6 path. 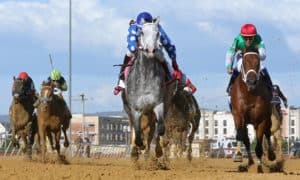 Full of run and given the cue, Ransom the Moon launched a strong bid and finished best of all, crossing the finish line first by multiple lengths ahead in a final time of 1:10.08 for the 6-furlong main track sprint. The 6-5 favorite and defending Breeders’ Cup TwinSpires Sprint champion Roy H ran admirably for it being his first start in four months, though he came up just a bit short and had to settle for second. 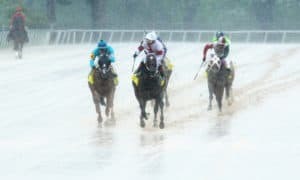 Touching Rainbows, the winner’s Phil D’Amato stablemate, edged the John Sadler-trained pair of Edwards Going Left and St. Joe Bay for third, while American Anthem could do no better than sixth. 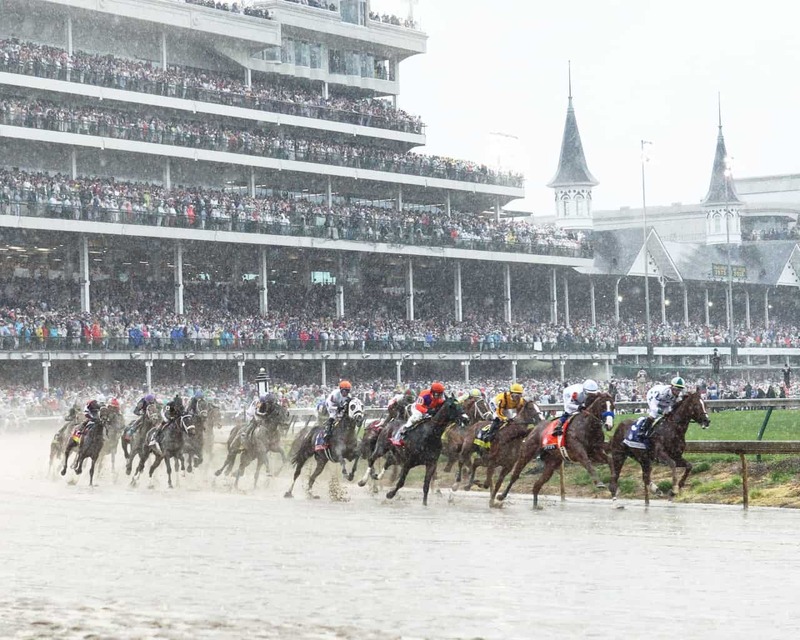 Stallwalkin’ Dude, Stone Hands, American Pastime, Annie’s Candy, and Tribal Storm completed the order of finish. 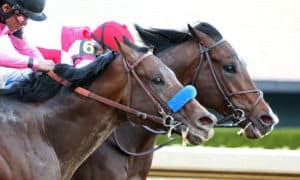 Following the race, Drayden Van Dyke, the rider aboard Edwards Going Left, lodged an objection against Roy H and jockey Kent Desormeaux for interference in the stretch. 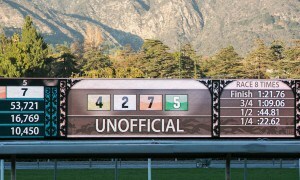 Upon review, the stewards opted not to make a change and kept the original results intact. 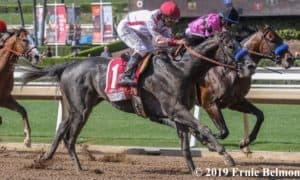 Ransom the Moon’s win was his first of 2018 and improved his overall record to 24-6-7-1. The 6-year-old intact son of Malibu Moon, purchased privately following his 2016 season, increased his lifetime bankroll to $848,829. Ransom the Moon returned $11.60 to win, $5 to place, and $3.80 to show. Roy H brought back $3 to place and $2.60 to show, while Touching Rainbows paid $5.80 to show.